17 years ago The Blair Witch Project hit our screens and invented a whole new terrifying horror genre. The ‘found footage’ film scared people shitless (myself included) on just a shoestring budget of $60,000 (£45,000) and made an eye watering $248 million (£187 million), making it the fifth-highest earning independent film ever made. So you’d think the stars of this indie classic would be living the high life in LA as a Hollywood A-Lister, but you’d be so very wrong. Heather Donahue and her fellow cast members Michael Williams and Josh Leonard did not get to enjoy the fame and fortune off the back of the box office hit. If anything, the whole experience turned out to be a real-life curse. They all agreed to have their characters use their real names and filmed most of the footage themselves over an eight-day period, which means when they died on the big screen many also believed they died in real life as well. The actors were listed as dead on their IMDB pages and at the time the filmmakers probably thought it was a great idea to boost the hype but it did anything but. Donahue instead faced a massive backlash and increasing criticism of the film, with Scary Movie infamously spoofing her. Being dead? How did it effect my career? Adversely. 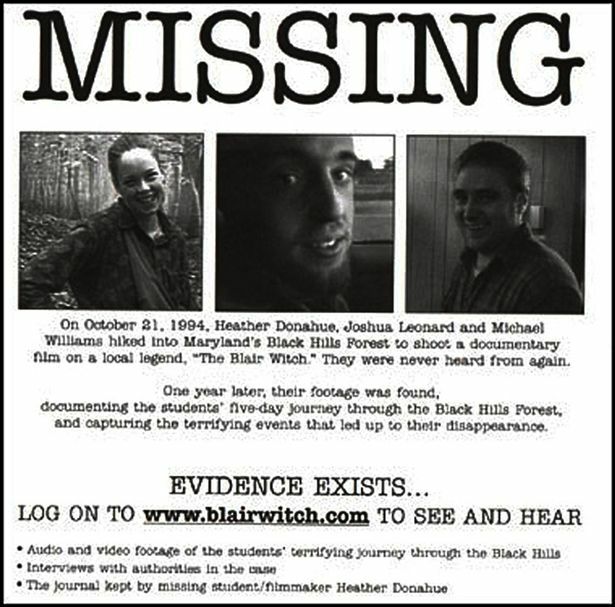 [the success of Blair Witch] is something you have to live with, like a tumour or a tattoo on your face. It’s very hard for me to talk about the backlash because, for me, it was so directly personal. It was my mother getting sympathy cards, it was people coming up to me on the street telling me that they wished I was dead, saying they want their money back. It all got a bit too much and in 2011 Donahue decided to take everything that related to her film career into the desert and burned it – everything except her hat from the Blair Witch poster. But now the surprise sequel has hit cinemas everywhere, Donahue is worried that her life will be affected once again. It’s just like this thing that’s always there. It had really receded in the background, and now with the new movie coming out, it’s very much present for me and my family again, which is challenging for them as well. My mother is being asked again about sympathy cards. Donahue, 41, eventually abandoned her acting dream to become a medical marijuana farmer.